the addition of Pintrest, people are becoming more design conscious. With all of the drool worthy pins out there, it can make a diamond ring you received a decade or so ago look tiny. Thus, the need for an upgrade. Not everyone has the budget to replace a diamond with a larger one. If you do, I usually recommend you go up by at least a full millimeter so you can SEE the difference since you are paying the difference. A 1/4 carat to a 1/3 carat is hard to tell apart unless you have your calipers on you… Remember, carat refers to weight, not size, so not all 1 carat diamonds are the same diameter. Old diamond (they are all old technically) can be moved over as a side stone or made into a pendant. 1. Add a halo. 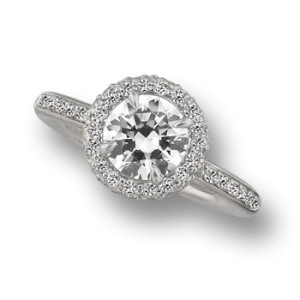 It adds approximately 2-2.5mm of sparkly to the center of your ring. I personally don’t like this term–I like “booster ring,” which sounds way more Star Wars–but who can argue with DeBeers? 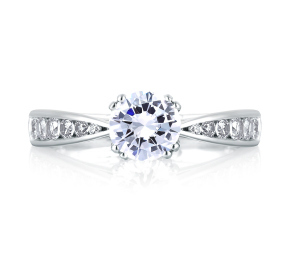 The final look will depend on your original diamond size. 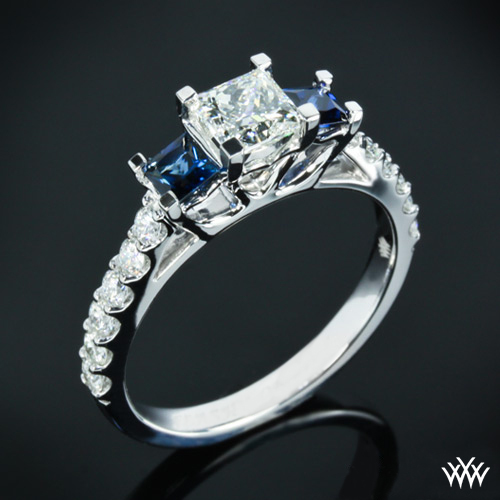 The diamond in the center can be situated above or level with the other stones. For those of you in the healthcare industry, a low bezel set center can reduce the normal snagging on latex gloves. Lifestyle matters too! 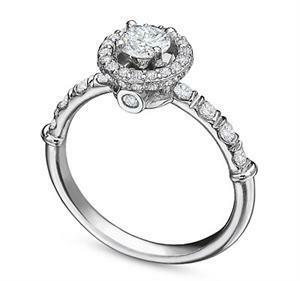 There are halo versions with varying stone sizes (usually .01-.03ct each) This new setting can usually be added to your original engagement ring with some slight modifications. 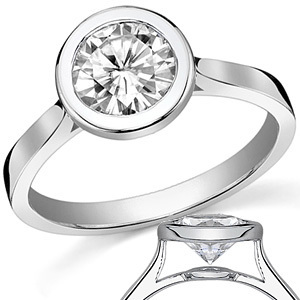 By adding the halo in white, you can update the look of a yellow gold ring and help your jewelry “blend” in more with your other sterling and white gold/platinum pieces. Also look for expanded halos and double halos. 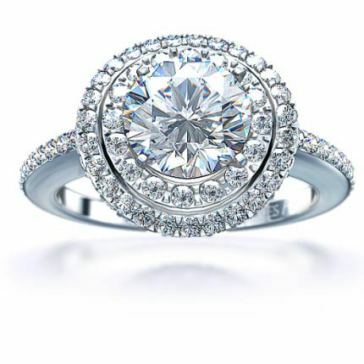 I personally find the triple halo to be too much… An expanded halo means there is empty space between your center stone and your diamond making it look even bigger. 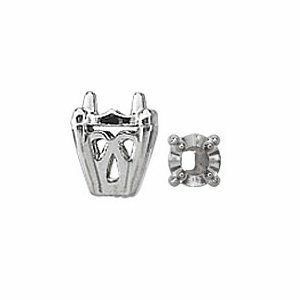 Also check into different prong styles. Exposed mini prongs have a very different look than the channel set and cocktail setting of the past. Also there are faux channels with mini milgrain that can lend a vintage look to your ring. Some halos have stones on the sides of the halo as well. These add cost, but can be super pretty as well. Have a fancy shape diamond? Don’t worry…they make halo heads for them as well! Estimated cost $600 (depends on stone size and style of course). 3. Have an old set of diamond earrings? Add them as side stones. Different shapes? Doesn’t matter! This one is a little more tricky as there are three options. Option one: reset original diamond and two earrings into a new setting. There are a lot of combinations to three stone rings (some of which have way more than three stones lol). If your original stone and earrings fit into a standard configuation, an off the rack mounting will do the trick. Estimated cost $750. Option 2: Add a wrap to your original ring. 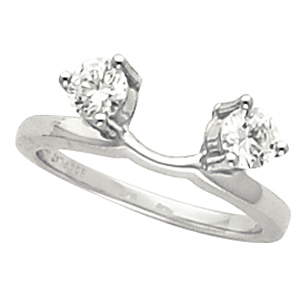 This usually only works with solitaires (no side stones). 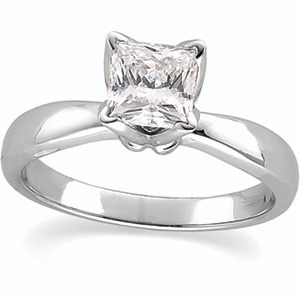 The wrap extends over the solitaire shank making it look (kinda) like one ring. It may need to be soldered together to prevent slippage. Estimated cost start around $400. Option 3: Add smaller earring diamonds in a custom bridge. 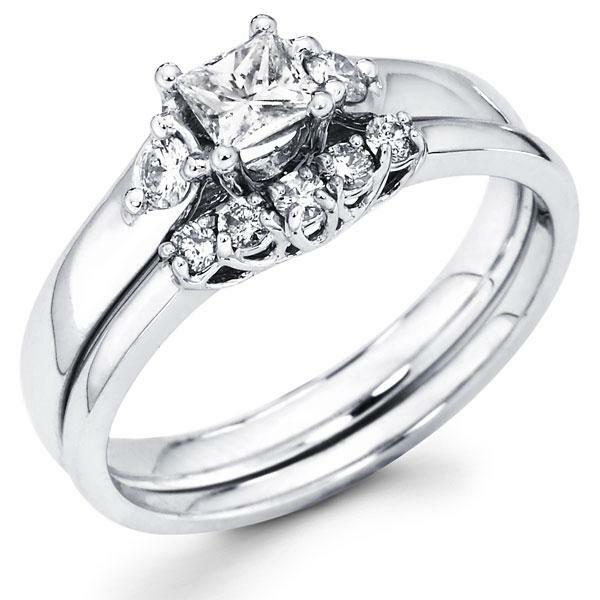 This one is more tricky to estimate a price on since every ring is different. Adding them in a bypass style can also affect how your wedding band (if you have one) will fit next to your new altered ring. Estimated cost <600, but talk to our pro’s about the feasibility of this one. Fun alternative to this is adding a pair of gemstones instead. Sapphires, blue topaz, etc all look gorgeous next to diamonds! Same price for labor. 4. Illusion head/plate. This used to mean white gold diamond cut plate that was used to accent a teeny diamond in a pretty noticeable setting. There are more modern options to this! One option is to recreate the vintage box setting. 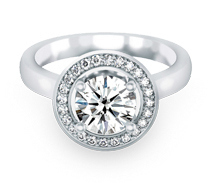 This illusion setting makes a round stone look bigger, more square, and more vintage. Estimated cost: Starts at $150. A free form ring doesn’t make your diamonds look bigger necessarily but by combining it with other medium sized diamonds, it can make the impact of the ring look bigger. The estimated cost depends on the finished weight of the free form ring (there are stock options and custom options) and how many heads/stones need to be seen. 5. Narrow or pinch the shank. There is always more than one way to skin a cat, so now we will take our focus off the diamond and put it on the ring it sits in. 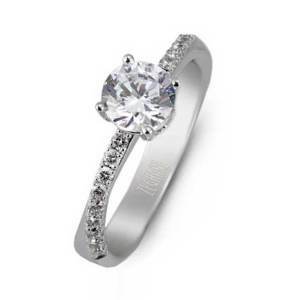 A good rule of thumb is this: the wider the band, the small your diamond will look. Think about a shift dress. It looks like a straight column. If you were to add a belt, it would make your waist look much smaller. The same thing holds true for rings. If you use a razor (tiny narrow band) shank, your stone will look bigger no matter its size. 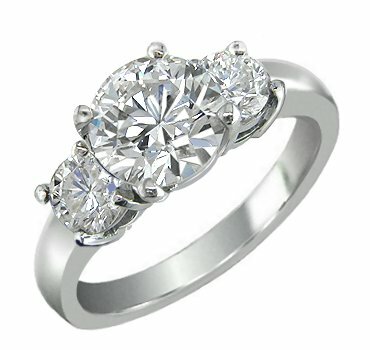 Your jeweler will be able to tell you if your original engagement ring shank can be slimmed down (without causing stability issues) or if you can simply transfer your center head and stone to a more narrow base. Another fun alternative if you don’t want to give up a wider ring is to get a pinched shank that narrows near the stone. Use caustion because narrow rings fit differently than wider ones so make sure you are fitted for the new ring style and width (there are different s sets of sizers for this reason). 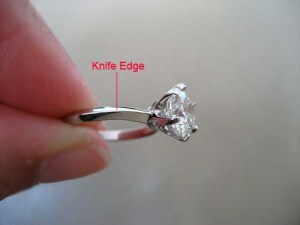 Also, a narrow shank ring is more likely to rotate on the hand if you have big knuckles. Most people do…A flared or European shank may help counterbalance to solve this issue.